Campaign: To promote media, consumer and trade awareness of the British asparagus crop, the season and the crop uses. Objectives: To increase sales of British asparagus during the UK season. Increase in UK household penetration from 2.1% (483k households) in 2001 to 25% (6.5m households) in 2016. Increased grower planting to meet shopper demand. Retail support for the crop evident from 2006 onwards. Substantial growth in imported crop outside UK season benefiting those grower/packers that also import.  Jane Kennedy (Labour Defra minister), Adrian Barlow (Chair English Apples and Pears) and Jan Lloyd (CEO New Covent Garden Market) singled out the PamLloyd PR campaign for British asparagus as an example to follow. The campaign to promote British asparagus is the model that fresh produce crops should seek to emulate. It is a strong example of the growers, retailers, wholesalers and marketing agency working together to deliver significant and sustained growth.